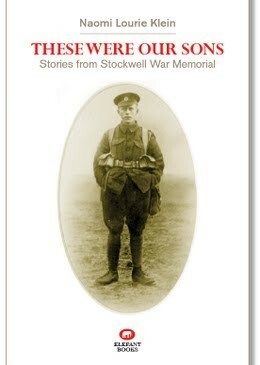 Amongst the names on the Stockwell War Memorial are three brothers, Ernest, Frederick and Alfred Desaleux. 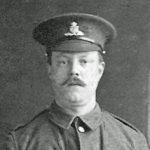 They all died in 1917 – Frederick in February, Ernest in April and Alfred in May. 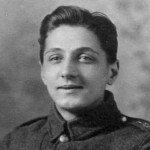 The brothers joined different brigades, although two, Ernest and Frederick, were riflemen. 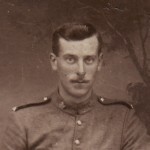 Alfred may have moved to Canada before the war: he joined the Canadian Field Artillery and his widow, Alice, is listed as living in Winnipeg in 1917. She was certainly in London during 1911. In 1911 the Desaleux family were living at Fountain Street (now gone), Stockwell. At least one other Desaleux brother served in the war: Albert. Dan Desaleux, his great-grandson, provided the following information. You might like to know that my grandfather Reginald Desaleux is one of the children of Albert Desaleux who you have listed above. He too was born in Lambeth, as was my father, Barry. 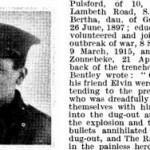 I do have some more information on Albert Desaleux: Volunteering in March 1915 he embarked for France six months and served throughout the war. 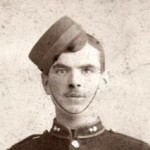 During this period he was engaged on light railway construction and in laying tracks for guns, and was present in the Battles of Arras, Albert and Vimy Ridge. He was buried by a shell explosion in the course of operations and on recovery served with the signal section until hostilities ceased. Demobilised in May 1919, he holds the 1914-15 Star, and the General Service and Victory Medals. Jules Desaleux was a map publishing assistant who lived in 73 Tavistock Street, Westminster and married Edith (unknown maiden name). This information is from a census page. However, we have no information of what year the page is actually from. 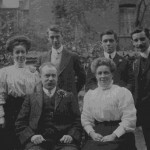 In 1911 the Desaleux family lived at 20 Fountain Street, Stockwell. Jules Desaleux, the father, is listed as a 45-year-old warehouseman born at “St George, Hanover Square”, London. His wife, Edith Desaleux, was born in Dover, Kent. Also, in the 1911 census, at 8 Pownall Terrace, Stockwell, Alice Eleanor Desaleux, 20, wife of Jules Benjamin Alfred Desaleux and her six-month-old son Alfred Hugh were listed as visiting Henry James Kemp (described as an “attendant”) and his wife Alice and their five children. All were listed as having been born in Holborn. Jules Desaleux’s parents Benjamin, born 1815, a journeyman lamp-maker and Maire (or possibly Eliza), born 1821, a corset-maker, came from France. In 1881, according to that census, they were living at 36 South Molton Street, “St George, Hanover Square” with their 24-year-old daughter, also called Maire and also a corset-maker. They had lived at this address for at least 20 years (they are there on the 1861 census). 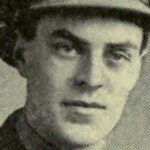 Meanwhile, Jules, then 22, was a Private in the Army Hospital Corps and living at the South Camp at Aldershot.